Use the built-in data entry worksheet to make a list of all your debts. When filling out the worksheet don't spend time trying to prioritize your debts. Our software will put them in the right order for you. Believe or not, this is the hardest step in the whole process. Why? Because it makes you take action. It makes you look at your debts. It makes you look at how much money you owe. This may be something you have wanted to do for a long time but kept putting off. That's why this is the hardest part. Important: When you write down your debts don't try and prioritize the pay off order our software will do this for you. 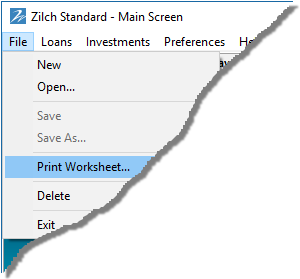 just concentrate on finding your debts and getting them listed on the worksheet. 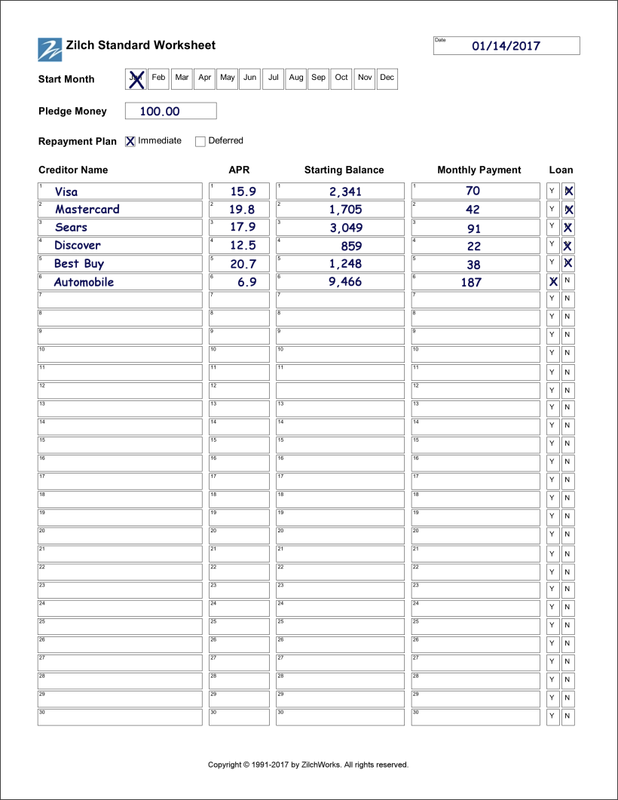 Here is an example of a completed data entry worksheet with 5 credit cards and 1 loan.